Wow Night Sparkle is right. This is beautiful. I love that its a dark Navy Blue sparkle. I have not seen a lot of that. Oh my!!! 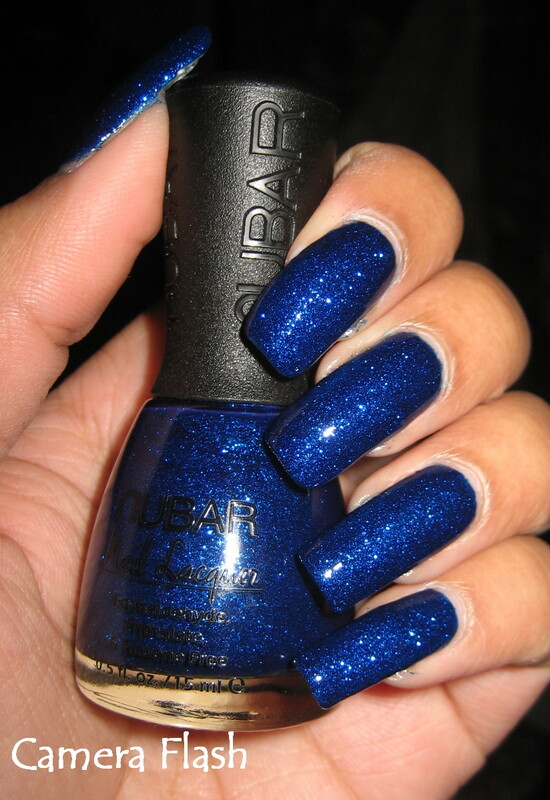 What an awesome blue sparkle! 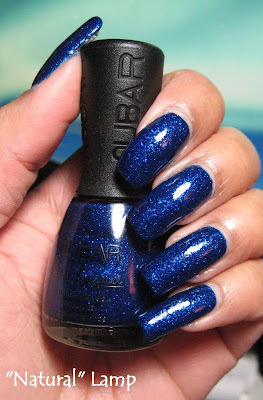 the blue sparkles are very rich... unlike some polishes where the sparkles are too much sparse. very nice! Those Sparkles stay great, this one is no exception, beautiful! Wow, this is so awesome! I love sparkles and I love blues, so you can't go wrong with this one! Yeah, I like this. But then, I'm a sucker for darker colours. I love this one. Looks beautiful on you. Nubar sparkles are just so beautiful. this is awesome, love the color... i've never heard of this brand before. where do you purchase it from?